211 Bernard: The Fruit Hunters Movie!! 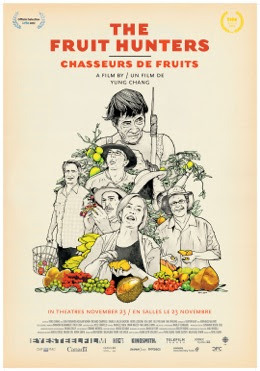 Adam Gollner's a Librairie D&Q fave author and so we're excited to hear that his fantastic book The Fruit Hunters has been adapted into a film! And we're giving away a pair of tickets for its premiere weekend on Sunday, November 25th at Excentris! Adam will be there to sign books and answer questions, and we'll be there too -selling books and tasting free samples! To enter the draw, stop by 211 and leave your name, email and/or phone number (and showtime you prefer, check here for that rundown) . The winner will be contacted with the good news on Saturday evening.